Colleen Chesebro has made a splash with Book 1 in her Swamp Fairy series, The Heart Stone Chronicles. Not only is it the first book in this series, but it’s her first published novel. And it’s a gem of a story. All right, puns aside, this novel will fascinate and inspire young women on the cusp of adulthood. 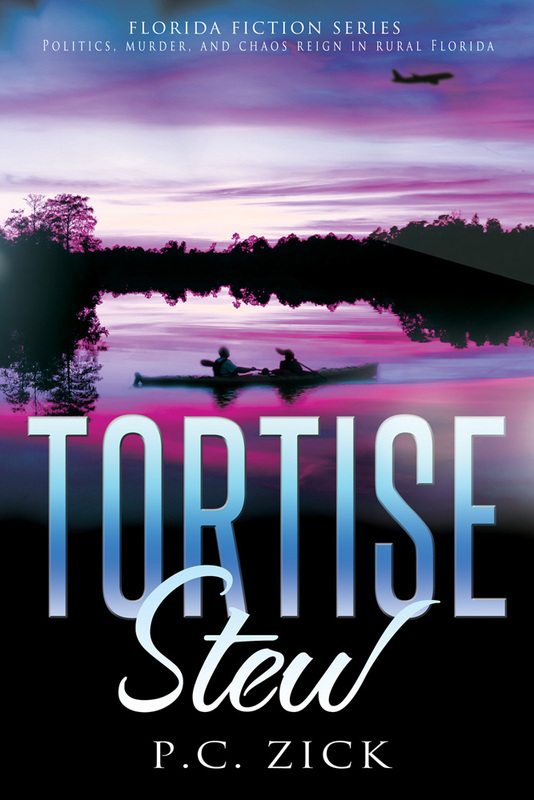 Set in the swamps of northwest Florida near Pensacola, Ms. Chesebro uses the setting of the swamp to create a magical story mixed with the reality of being a teen uprooted by the death of a mother and the abdication of a father. Fortunately, Abigale Forrester, at the age of fourteen, has plenty of people rooting for her from her mother’s best friend in Chicago, where she’s left without either father or mother, and a dear sweet aunt in Florida where Abigale is sent. It is in the rural setting of Florida where she discovers her true legacy and begins to understand the non-understandable. The book is fraught with the nightmares of an abandoned teenager, the bullies–both peer sand adults alike–and grown-up issues facing her aunt. Abigale is forced to become an adult before her time. Fortunately, when she moves to Florida, she discovers friends who are also facing these same issues. Together, they form a bond that resists the forces that try to destroy them. But Abigale has a secret. She understands animals through a silent communication. And they understand her. Her nightmares are foretelling the future, and she can talk to the fairies in the swamp. All the reasons why and more are what gives this novel both its surreal and magical qualities. I kept thinking while reading the book that Abigale’s situation in her everyday life could be the story of many young teens facing the sometimes rough world as they transition from child to adult. But with perseverance, faith in herself and her abilities, and the love of an extended family beyond the bonds of blood, she can survive. I highly recommend this book for its qualities of magical realism and its storyline of hope. Well done, Colleen Chesebro. You’ve written an outstanding book of love for those who need it. Your story will lend a light to young women and men and show them that even the worst of situations can be conquered. As Abby learns to be part of a family again and explores her love of horses with friends, Savanna, and Blake, the swamp slowly gives up some of its secrets. She is summoned by a primeval nymph, who teaches Abby that her true destiny is to protect the nymphs from evil in an ever-changing modern world. About the Author: Colleen M. Chesebro is a writer of cross-genre fiction, poetry, and creative nonfiction. Her debut novel, a YA fantasy series called, “The Heart Stone Chronicles – The Swamp Fairy,” was published January 2017. The book reveals the story of Abby Forrester, a 14-year-old orphaned girl who is entrusted with saving a community of fairy nymphs from certain ecological destruction. Along the way, Abby learns about friendship, love, and what it means to actually belong to a family. Colleen’s writing explores ecological situations in the multicultural world of today. She combines real-life historical events into her writing to create experiences that will continue in the hearts and heads of her readers. A veteran of the United States Air Force, Colleen is also a retired bookkeeper. She has an Associates Degree in Business Administration, and another Associates Degree in the Arts, which she uses to combine her love of writing with her passion for all things creative. When Tommy is assigned to cover the show’s filming as a reporter for the Tampa Tribune, he finds himself at odds with Lisa who he’s beginning to think of as more than a friend. Sally Jean returns to the Behind the Love series as Lisa’s best friend. But the show threatens to tear them apart as well when the producer wants to make Sally Jean the star rather than Lisa. As Lisa finds herself losing everyone in her life, Tommy struggles to remain her friend, hoping she’ll realize that her actor boyfriend Jet isn’t any good for her. If he can convince her of that, perhaps he’ll stand a chance at winning her fragile heart. I loved writing this book. I say this about every book I write, but this time I loved it because I was so familiar with all the characters. I layered Lisa with much deeper feelings and aspirations. She’s been a peripheral character since the very first book. But in this novel, I could give her motivations and dig into personality. Every since Sally Jean appeared in Behind the Altar, readers have been asking for her to star in her own book. I never thought she’d go beyond the paper cutout character I’d created. She’s the big-boobed blonde who’s troubled but kind. By the time I made her the best friend of Lisa in Behind the Curtain, I’d grown to love her and began writing some of her backstory. I gave her some depth, and one day, I feel ready to explore her role as the heroine of another romance series. I’ve set it up at the end of Behind the Curtain. It happened naturally and as it evolved, I realized she deserved her own story. Lisa watched as Susie, her baby sister, exchanged vows with Reggie on the front porch of Susie’s house. Standing next to her smiling new husband, Susie glowed. Reggie patted his new wife’s protruding belly, and the crowd of friends roared with laughter. Sally Jean greeted Lisa when she stepped off the front steps to mingle with the folks gathered in the yard. Lisa had known most of the guests her entire life, and Sally Jean had been her best friend in high school. Lisa looked at her friend, remembering those days so long ago when Sally Jean dated Dean Davis and Lisa was set to marry Sam Rollings. Both those relationships ended on the night after graduation ten years earlier. She felt sorry for Sally Jean sometimes, but Lisa knew she was just as messed up when it came to relationships as her friend. What right did Lisa have to judge her? “But you’re over Dean, right?” Lisa decided she’d better ask because Dean’s pregnant wife Leah wouldn’t be too happy if Sally Jean still harbored feelings for him. Leah was Susie’s best friend, and by extension, a friend of Lisa’s as well. “I don’t think you’ll have to worry about that happening.” Lisa watched Sally Jean’s mouth turn down, and she immediately felt sorry she’d opened her mouth. “And growing.” Lisa giggled before taking a sip. Tommy worked for the Tampa Tribune as a feature reporter. His recent series on homelessness in Florida started right in their hometown of Victory with the homeless vets living on the banks of the Deer River on the outskirts of town. “That sounds like the perfect offer,” Sally Jean said. “I think you’ve got yourself two designated drunks then,” Lisa said. The two women high-fived and then both reached up and kissed Tommy one on each cheek, which made the redhead blush a deep crimson on his very white face. Later, after the toasts and too many glasses of champagne, Lisa sat at the bar of the Victory Tavern. Tommy sat next to her, drinking a glass of water. “Ever wish it was you standing up there getting hitched?” Tommy asked. Victory, Florida, Lisa’s hometown, reeked of mostly bad memories for her. She left the day after her high school graduation, leaving her sister Susie, only thirteen, to cope with their mother and her subsequent cancer and eventual death. Lisa only came home when absolutely necessary. Despite that, she and Susie remained close, drawn together by the bond of their childhood fraught with a drunken father who liked to use a punching bag when soused. Unfortunately, that punching bag was their mother. Ten years ago, Lisa’s future looked bright despite the dark cloud hanging over their house. She and Sam Rollings were the darlings of Victory, both beautiful and popular. They were going to be married after college, except life intervened, and Lisa left town after the mysterious death of her father. Only when Susie started to ask questions a few months back did the whole truth come out. To Lisa’s horror, she realized she’d been the one to tell Sam she wished her father dead. She said it after he once again beat her mother. Sam, wanting to be the hero in Lisa’s life, made sure her wish came true when her father walked into the path of Sam’s car. Only when Susie tried to uncover the truth did both of them learn what happened that night. Susie and Lisa decided to keep Sam’s role in their father’s death quiet because they wanted to move forward, not relive the past. And if Lisa felt any guilt at all, it was only because she wasn’t sorry her father was dead. Lisa saw those ghosts as they wandered the streets and echoes of Sam reverberated off the walls of the Victory Tavern as their friends enjoyed celebrating Susie and Reggie’s wedding. Reggie, Dean, Sam, and Trevor—the four football stars who brought fame to the small Florida town when they won the state football championship ten years earlier—made quite a name for Victory. Trevor Carson was awaiting trial on an illegal gambling operation, and no one knew where Sam Rollings was. Dean and his pregnant wife Leah walked up to them, and Dean pulled out a stool for Leah to sit. “Yes, master.” Lisa jumped off her stool and bowed deeply to Tommy, who shook his head and walked away. “When’s the baby due?” Lisa wanted desperately to change the subject. She knew when the depression started she’d slide down a slope with little hope of pulling herself out for a few days. Lisa looked over at her sister, standing next to Reggie. Susie glowed. Lisa picked up her glass and smiled to think of her baby sister as a mother. Lisa hoped she could live up to her role as aunt. 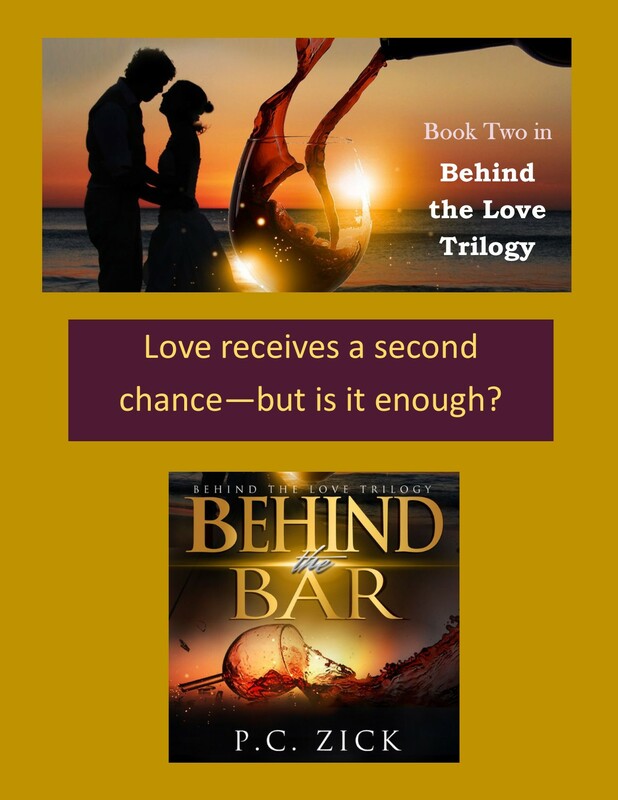 I’m thrilled to announce the release of Behind the Bar, Book Two in the Behind the Love Trilogy. Behind the Bar picks up right where Behind the Altar ended–at the wedding of Dean and Leah. This time it’s Susie and Reggie who must struggle to find out if their love can endure through a separation and rivals trying to drive them further apart. Reggie’s gambling and Susie’s struggle with her past push them further apart. Join the crew at the Victory Tavern, including Sally Jean, Charlie, and of course, the cheerleaders and best friends of Reggie and Susie–Dean and Leah. For years, I’ve wanted to participate in the National Novel Writing Month. Each time November rolled around, I was busy with something else or in various stages of publishing another novel. 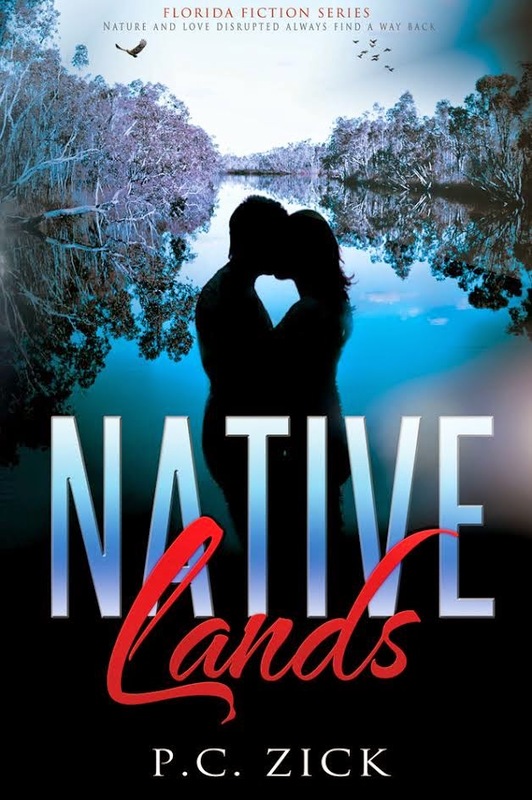 This year I published my last project, Native Lands, on October 29, 2014, which means by November 1, I was ready to embark on my next project, Behind the Bar. I’m one week into writing my second romance and the second in a series. It’s fun. I like having the challenge of meeting a certain word count every day. Every job during my career has involved serious deadlines, so I’m wired to work with that way. I have to set my own arbitrary deadlines for my writing now. That’s why I like Amazon’s new pre-order feature. If I set a publication date, they set the deadline I must have the manuscript uploaded to them. So I’m a nerd. I admit it. I like looking at my word chart on the NaNoWriMo site. So far I’m ahead of the curve, and if I keep on doing what I’m doing, I’ll have a 50,000 word draft by November 24. We’ll see. I know that I’ll have something by the end of the month, and then I revise before sending out to beta readers. I get discouraged many days about marketing, sales, and social media. I have no idea what works and what doesn’t. I fumble around in the dark searching for answers on the worst days. But I’ve found several communities of supportive Indie Authors, and I find their experiences helpful and inspiring, most of the time. The braggarts can be more discouraging than not, but I try to remember they’re probably bragging because they need it to boost their own writing egos. I have many goals for my work in the coming year. I approach 2015 with a renewed commitment to my writing. I believe there’s a purpose to what I do and what I write. A strong premonition came over me today that I have not yet written THE BOOK, but every book I write now is leading me to that one. In a few months, I turn sixty. It’s made me reflective. In all areas of my life, I seek peace with where I am at any given moment. It’s been astounding to do that every time I get worked up about something or other. I stop and look around and see my surroundings. The other thing disappears. In my writing, I feel a shift. 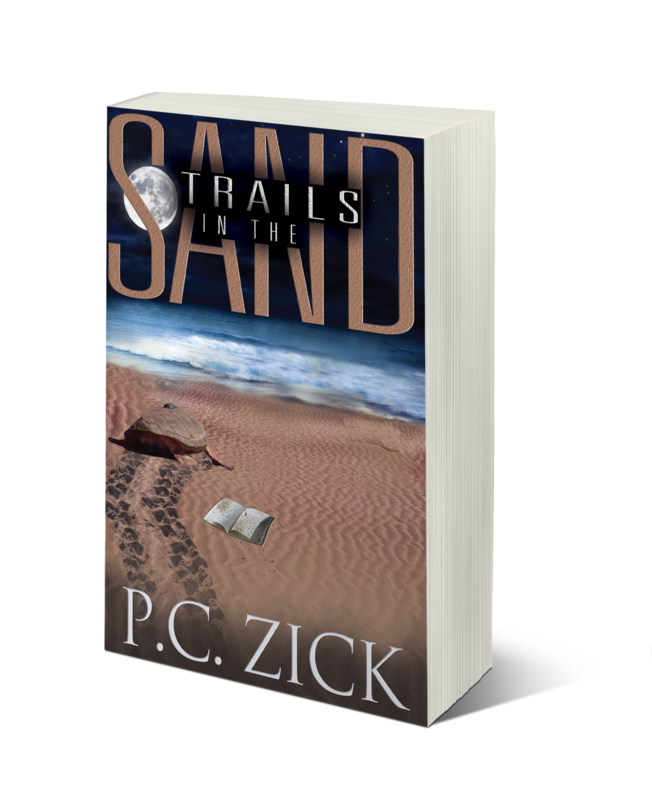 It’s been happening for two years, ever since I finished Trails in the Sand in a hotel in San Antonio. It was there that I realized my success as an author comes from how I feel about what I do. I was in tears at the end of the book because I loved the story. I didn’t need any outside sources to tell me what they thought of it. I was satisfied with what I’d created. 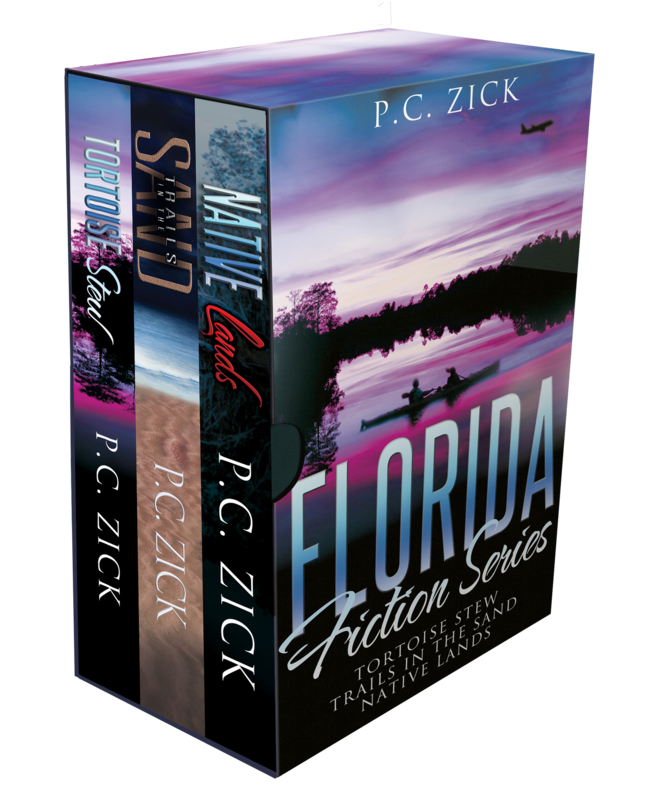 It hit me the other day as I formatted my Florida Series Box Set. I was working on Tortoise Stew, a book I wrote in 2005. Again that feeling came over me. I was satisfied with what I wrote. I set out to show a particular slice of life in Florida where land developers and environmentalists constantly clash. I accomplished it in that book, even though it might not be as popular as some of my other novels. It only matters that I embrace what I wrote. I love it when serendipity comes slipping into my life. While I was in San Antonio, one of my former interns, wrote me that they were moving to San Antonio. She recently published a book of her essays in Naked Salsa. This month I’m accompanying my husband on another business trip to San Antonio. While there Crystal and I are doing a book signing together. “Wining and Signing” is Crystal’s name for the event. I hope the beautiful city on the river survives the craziness that occurs when we get together. I’ll keep you posted on my progress with NaNoWriMo. Who’s participating this year? Who has participated in the past? 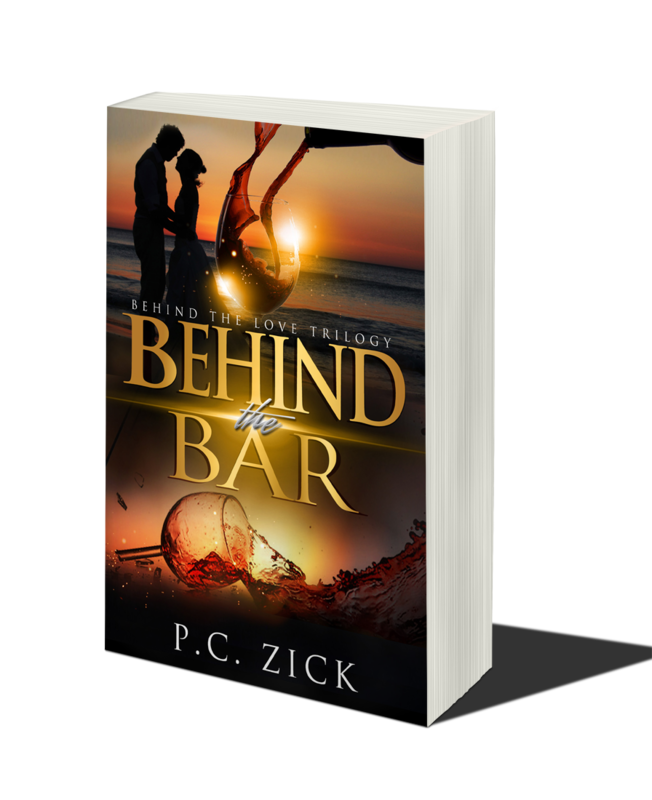 Sunday Coffee Time Chat with Author P.C. Zick.